The Casemate Blog – Like history? Read about warfare? So do we. You’re locked in a room. You’re in a group because multiple heads are better than one—or so they say. Find four keys—and you’ll taste freedom. Do you know where you are? Escape rooms have become something of a phenomenon. From groups of friends testing their knowledge and decision-making skills—to work events designed to bring colleagues … More Escape From Paying! Leave a comment Escape From Paying! It’s that time of year again – students across America are getting ready to head back to school. Celebrate (or ease the pain) with our Back to School Backlist Bonanza! 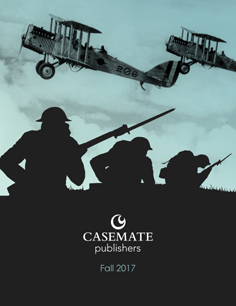 This special sale, in partnership with AUSA, features select Casemate backlist titles at a 50% discount! Leave a comment Casemate’s Back to School Backlist Bonanza!